Six months ago I had a baby. It still leaves me in awe to be able to type that. Sometimes I look at him, and I cannot believe he is real. We prayed so long and so hard. And though our struggles were no comparison to what others have gone through, we could only hold our breaths with each doctor’s appointment and sonogram wondering if this little bean would come to be. He did! And we give all praise to God for this gift. 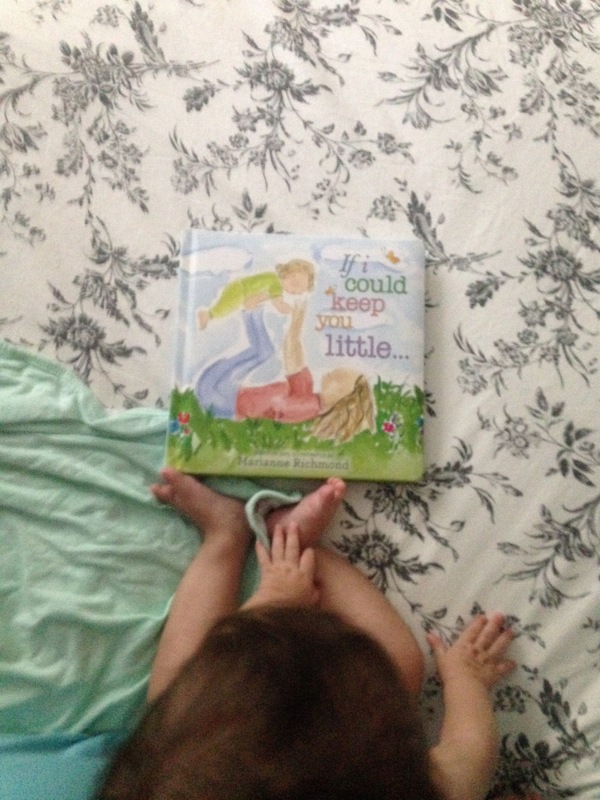 I did not write much about my pregnancy and really only mentioned it in passing on this blog. First, I was so sick and so tired and the bare minimum was about all I was able to do in my day-to-day life. But there’s been a lot of wrestling going on as well over the past year about what about my children I should and should not put online. I want to protect them and I know full well these babies grow up into 11-year-olds (ahem) that do not want their pictures online. And, I have to say, it’s been special to share about little Z in a limited way on social media with, for the most part, only my family and closest friends. It also motivates me to detail his life as best as I can offline. At the same time, I’ve written so much about my older son in this space that I’d be remiss to not mention his little brother at all. And since I just post pictures and not too many details on Z’s life on Facebook and Instagram, here’s a fun little update on all our little man is up to. We get a different weight for you at the different offices we go to you, so that’s been frustrating for your mommy! But you’re about 13.5 pounds (tiny thing!) and roughly 26-27” in length. You’re just growing out of your 3-months clothes, but fit comfortably in your 3-6 months ones. Your eyes turned from gray to now a greenish-gray and it looks like you may have your daddy’s hazel eyes. You were born with a TON of hair. Black at first, but now a light brown with hints of blond and even red. It was mostly straight but now is starting to curl! You have your momma’s skin color. I fear the sunburns already! You are known for being HAPPY. There is not one person or doctor who has seen you who has not commented on how joyful you are. You are a friendly, smiley baby. At the same time, in every way possible, you are the complete opposite of your big brother. You can be needy and you cry a lot more than he did. But that’s okay. You like constant attention, people looking at you, or someone to hold you. Nothing wrong with that. You love the bath! You love to watch the water and now play in it. You love for your mommy to wear you. No matter what time of day as soon as I put you on me, you lay your head on my chest and fall fast asleep. At the same time, you love watching the world around you when you are awake. You are down to two good naps–one in the morning and one in the afternoon. You go to bed anywhere between 8:30-9:30 which I love because that means we sleep until late. You still wake to nurse at night, but it doesn’t even affect Mommy anymore as you go right back to sleep. You can give me a few hour stretches for which I am grateful. You have seem to be teething for months, but no teeth yet! You have been babbling for quite some time now. You know how to have a conversation in your own baby way. You roll from front to back and back to front with ease and can sit up all on your own. You went to your first Mets game on Sunday, May 17, 2015. You took your first class – a baby signing time class. I’m pretty sure you understand the milk sign and I’m convinced you do it, but Daddy and your brother will disagree. You simply had fun listening to the songs and putting all the toys in your mouth. You are a physical therapy graduate! Breastfeeding did not come easy for us, but it was something momma believed in and I want you to know how hard I worked to give you the very best possible. Through a visit with a lactation consultant we learned you had torticollis and a slight flattening of your head. We did physical therapy and you “graduated” way ahead of the normal prognosis. Your physical therapist was so proud of you! And it’s not just your mommy that thinks so–she said you are very advanced for your age. You have motor skills that are on level with a 7-to-9 month olds and other skills past that even. Unlike your brother who did things “later”, we think you will be our early bird. You are SO ready to eat! You have shown signs of readiness since you were four months old, grabbing our food any change you got and I’m so glad you finally get to dive in and enjoy the world of solids! I love how you recognize your family, especially your mommy. Your eyes will follow me all over a room and if you cry, mommy picking you up instantly helps. You are such a joy to us! You are a joy in our lives and I can no longer picture our family without you. Thank you, Lord, for the honor to experience having a baby again. It’s been so much fun doing a lot of things the same but also recognizing how I should have done things different with my older one. I am relishing and cherishing this baby, not knowing if he is my last. I’m so glad I’m able to relax. I don’t feel time passing too quickly, but I know it is. And I’m just soaking it all in as best as I can. I think I will remember every detail, but I know I won’t. But I love him so very much and that’s what I want him to know one day when he reads this. I will not be posting baby’s picture on the blog, but know that he is the cutest, sweetest thing possible! And now? I totally get to start planning his first birthday! One of the most profound statements, in my opinion, that I’ve ever made in this little writing space of mine is that there would never be enough time to love you with all that I have. And as we approach the birth of your little brother or sister, that statement has been swirling around in my head. Because it’s true. There was not enough time. Anticipating the arrival of your sibling does not mean I will stop loving you, of course. But the time and attention I’ve been able to devote to just you is ceasing, and the tears that fall when I think of that are a mixture of gratefulness and sadness of this era that is coming to an end. God really hit it out of the park by giving your father and I you as a first child. I do not know if that will help us to be better parents this second time around, or if it scares us to think there is no possible way to have another child like you. Because, boy, are you special. And one of my biggest prayers have been to never compare our newest arrival to the baby and child and now young man you have become, because it just wouldn’t be fair. There’s something about you, little man. You’re from a mold never to be replicated. I’ve always been very intentional in my relationship with you, but even more so since finding out about this baby. I will fondly look back to the summer of 2014 as one of our best. I will forever remember mornings of making pancakes, racing in pools, playing soccer on the beach, and days in the city. But most of all, I’ll remember how well you loved and cared for me. How the young man who was beginning to grow began to become aware as well that our relationship would be changing and so he grabbed my hand a bit more often and cuddled on the couch more frequently. For months now, I’ve been hearing what a great big brother you will be. But really, I think about what an amazing husband you will be one day should you choose to get married. From opening car doors for me to yelling–yes, yelling–every time you saw me bend to pick up something because I was pregnant and should not be doing “manual labor” as you called it, your heart to care and protect someone you love was so evident. You let me rest, you learned a lot more independence, and I’m so grateful for this immense understanding you have with all we’ve dealt with these last nine months. I love you, my son. A baby will never change that, and yet I know I will now need to learn how to divide, or at least share, my attention between a new creation that needs me and a young man who does as well. That’s hard to do after ten years. I will have children in two very completely different stages of life and I pray for the grace and knowledge to know how to deal with both simultaneously. I am confident that both of us will rise to the challenge. Tofer, there’s no doubt you have been one of my best friends. And I pray you will never be negatively affected by this new arrival, but only experience joy in this new season of our lives. Having another child was never an indication of not being 100% completely satisfied with having only you. The peace and contentment the Lord gave me in being okay with having an only child was overwhelming. You are and will remain one of my earthly everythings. The space you have in my heart is going to be hard to shift, but I know it will be done. It’s hard to imagine loving another the way I’ve loved you, and that’s the truth being written, but I know I will love your sibling in both the same and different ways. There’s no doubt though that our relationship will always be built on something immensely special. I feel like there’s so much more I can write, but I’ll end it here. With a lot of love and gratefulness to God about the son he has thus far blessed me with. I pray on the days of sleepless nights and having a tired mama, you will be filled with understanding. I pray your sibling will be your new best friend despite the age gap. I pray you will be blessed by this new arrival and never miss your “only child” status. No, Goob, there was not enough time to love only you with all that I have. But, I pray, there are many many more decades to come of continuing to try. Congratulations on being promoted to big brother. I hope it is everything you have imagined it to be. Robyn Bear, founder of www.october15th.com, and founder of October 15th, Pregnancy and Infant Loss Remembrance Day envisioned a day when all grieving parents could come together and be surrounded by love and support from their friends and families, a day where the community could better understand their pain and learn how to reach out to those grieving. This would be a day to reflect on the loss yet embrace the love. While our babies’ lives where so brief, they were also very meaningful. Yet, there was not a time to talk about them. Our society seemed to forget or perhaps, simply didn’t know how to reach out. 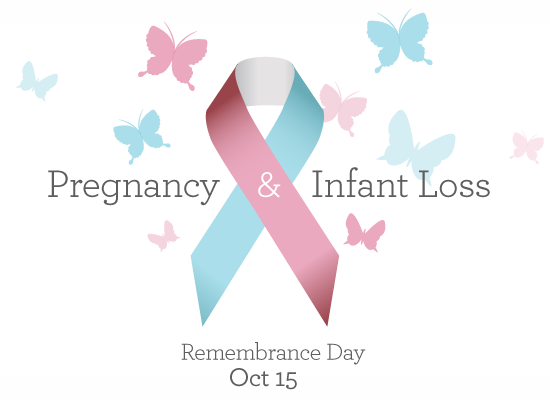 Since October had been proclaimed “Awareness Month”, she chose a day, in the middle of the month to become, “Pregnancy and Infant Loss Remembrance Day”. I have written a bit about our first loss in 2009 and though I am currently seven months pregnant, many people do not know that this is actually my second pregnancy in 2014. We suffered our second miscarriage in March of this year. This time it was a chemical pregnancy. It’s a topic I hope to explore further as I begin to pick up with writing in this space again. For now, I’ll be brief and say that it did not matter than I lost the pregnancy the same week I found out about it. As a Christian and someone who is pro-life, that baby was a person, a human, from the moment of conception. And from the moment that pregnancy test blurted out POSITIVE, we planned and we shared. And when a few days later, we left a hospital room with an empty womb, we cried and we grieved. This time around was a lot different from in 2009. And I did want to share some thoughts about that. In 2009, I became very angry about our loss. Angry at God. Angry at life in general. We had planned, we had prayed, and it happened right away. So when the baby was taken away from us, it did not make sense in my mind. I did not have a good support system in place and I was not in a place where I felt I could talk to my husband. This was very selfish because the whole time I was thinking about my grief and not even considering how he felt about his loss in the situation. I withdrew, not socially, but from reading the Bible and being in prayer with God. The person I became that following year wasn’t the worst I’ve ever been, but nowhere near who I should have been at that point. Again, it was a lonely road; one that not many people could observe outwardly, so in their eyes I’m sure they thought everything was alright. But I was struggling. I was depressed. I felt guilt, and shame, and a vast array of emotions that not only were not godly but simply not correct. 2014 was so different. I credit my growth to God, of course, but the means He used was a church we’ve been attending for over four years now. I am stronger in my faith. 2013 was, by far, my worst year yet. Our year started with my cousin dying in a nightclub fire in January. I became sick again with bronchitis that lasted for weeks and strep throat. There were personal issues I cannot go into details about. My mother was hospitalized three times over the course of one month. And our year ended with all of us very ill, including our son having a case of pneumonia that we thought was surely going to land him in the hospital. I’m sure there are other happenings I am forgetting to list, but my only point in writing them out is to note that after having a year like that, a miscarriage early in 2014 would have been enough to set the old me over the edge. Having come through all those 2013 events with an amazing body of believers and friends, learning how to pray my way through the trials, and never questioning God’s reasoning or love for me in the midst of those trials helped me to deal with our March loss head-on. It wasn’t that I was callous and did not care. It’s not even a matter of saying, Oh, God is sovereign, so it is what it is. No, there was sadness. There were questions. There were a lot of “whys?” But I communicated. I let people in. I did not shut my husband nor God out. We persevered. We were going to come through. We didn’t have to “come through” for very long because three weeks later, I was pregnant again. But that’s a story for another day. I’ll be honest. It’s weird to type this entry out–about our losses–while I’m feeling our baby kick inside of me. There’s a guilt there. A guilt of why should I grieve our losses when I have an amazing ten-year-old, healthy child and another, Lord willing, on the way. But it’s a lie to believe that any point I shouldn’t remember those losses and think back to those pregnancies. They are a part of my story. I will always remember them. And not just on October 15. Sometimes I think about the five-year-old I would have had when this new baby comes. I’ll always wonder how my March babe would have been regardless of his or her little brother or sister coming to us soon after. And that’s okay. And I want to make sure that others who have experienced these losses–in whatever stage of pregnancy–know that it’s okay too. I leave you now with some Do’s and Don’ts as you navigate the waters of pregnancy loss. (I am intentionally not referencing infant loss, as I cannot speak to that pain.) This is not an all-inclusive list, but just some from the top of my head at this moment. Again, as I hope to write more on this subject, I plan to write out more detailed posts on my journey. I’m also sure there are plenty of other blogs or websites that you can search for that have already done a fine job of outlining ways to help you cope with your loss. Do…talk through your grief. Ideally, this should be your spouse. But there may be a need for a more trained professional. Just talk; please talk. Share your story. Don’t bottle it in. It will destroy you if you do. There are support groups, both in person and online that can help. And this is a BIG do: DO LET YOUR SPOUSE IN. DO CONSIDER THEIR FEELINGS AS WELL. Don’t think that just because you are the one who physically experienced the loss, that their pain is not great too. Allow your spouse to be the one to crumble from time to time. Allow them to grieve and cry and ask questions. Allow them to feel the depth of the pain. ASK THEM. MAKE THEM SHARE. Don’t ever, EVER assume they do not care the way you do or that their pain is not there because they are quiet when, more than likely, it is because they are trying to be strong for you. Don’t…feel guilty about talking about it. One of the biggest lies I gave into the first time around was believing that because I had a child already, I should not be upset over the loss. That I was blessed because there were women who could not even have one. While there are times to prefer others above yourself and to be sensitive to the plights of others, do not feel shame in sharing about your sadness and grief whether you have one child or ten. A loss is a loss because a life is a life. Do…accept help from others. This is something I myself need to be better about. It’s amazing how you can go through something and be passionate about a topic, and, yet, when it happens to someone else you forget to follow-up. In our loss this year, people came over. They texted. Continuously. They sent cards, brought flowers, and made meals. They offered to watch Chris during appointments or if I needed a break. If people are offering this help, take it. Again, this death–though, of course, not as intense as the loss of an infant/older child/adult–is still a loss and one you need time to grieve over and heal from. Allow others the opportunity to encourage you in this time. Don’t…feel the pressure to just “get over it.” Don’t move on before you are ready to. Your grief will look different from others. Some will bounce back quicker and it’s not because they do not care. It’s their personality. Take time with your grief. Take time with deciding if you are emotionally ready to try to have another child. Do not rush your grief. Do not despair in it, but do not wish it gone. Do…remember. This is going to look different for everyone. For some, it means naming their baby. For others, it’s releasing balloons on a certain day or continuing to acknowledge that life with a keepsake (Christmas tree ornament, jewelry, etc.). For us, we did not do anything like that. Only because I did not feel I had to. I’m content and at peace by allowing those lives to pop into my mind here and there. On their “due dates” I pray they are in heaven and that I will get to meet them one day. Don’t bury your baby’s memory. Acknowledge them for the time you had them. Don’t…be upset if you do not get the follow-up calls/texts or when people say the wrong things. People will forget. And they will say things you just do not want to hear at the time. That’s the benefit to remembrance days and awareness months. It’s a time for us those who have experienced the “cause” to teach others about our pain and what is–and is not–appropriate. Our losses are not in vain. Though sad to write, I cannot begin to tell you the amount of women I have been able to help because of my experience whether with advice, knowledge on research I’ve done, or simply lending an understanding ear. 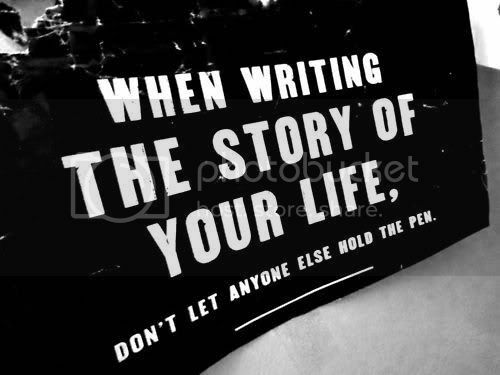 Do…share your story. Acknowledge your baby periodically to your family, friends, and on social media. Don’t think it’s weird. If they pop into mind, share it. This is the only way people will know to reach out to you and a great way to demonstrate to them how to walk this often overlooked road of pregnancy loss grief. When we don’t talk, people think there’s nothing to talk about. Or that we don’t want to. Share your story so that when a woman in your life–and the likelihood of this is statistically great–experiences this loss, they will know who to turn to. In a future post, I hope to gather and list some resources that I have found to be beneficial. In the meantime, if you need any information or someone to speak to please do not hesitate to contact me. For now, feel free to peruse the October 15th official site linked at the top of this entry. God knew the number of your baby’s days even before He formed him or her. It would seem odd to find comfort in a verse that proves God knew when my babies would leave me. But I do because it is a reminder that He alone is in control. And while there are many things on earth that do not make sense to me, He is all-knowing. And I have to be okay with that. I have to trust Him. Be blessed friends. If I am aware that you have experienced a loss, know that I am praying for you today. Let’s walk this road together. I sighed as I placed yet another load into the washing machine. I’ve long given up on trying to figure out how three people, one being a child, are able to produce so much laundry. It’s like the song that never ends. One load in; one out, almost daily. Separating. Folding. Putting away. Over and over again. 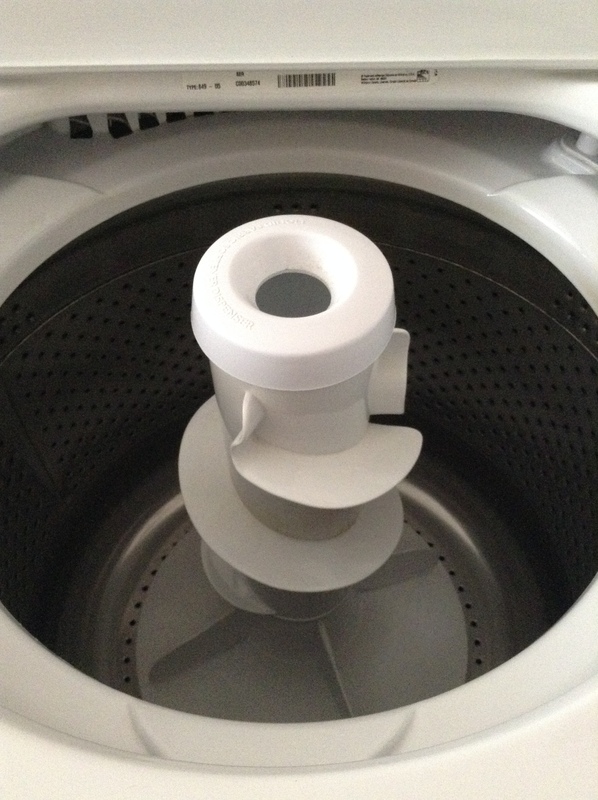 As I stood at the white machine this morning, removing clothes one by one from the hamper to place them in for their weekly washing, I remembered to be grateful for the tasks that do not end. For one day, they will. One day, little people will grow up. And taking their laundry with them, there will be less clothing in the wash than there was before. I’ll long for the days of grass-stained denim and sweaty Little League shirts and chocolate ice cream with chocolate syrup dripped across faded shirts that are worn over and over again despite a drawer full of new ones because of how loved that one shirt is. I think about those that are single and how, perhaps, they dream as they do their laundry to one day have another to do such a meaningful task for. For in the dreariness of redundancy, there is beauty in serving others. In just a few short months, I’ll add to my load–both literally and figuratively–with spit-up onesies and other let’s not mention it right now types of stains and I know there are women out there longing to see these things in their machines. For their never-ending cycles are far worse than mine–each month to want the one thing they are not getting. There are many other “never-endings” in my life, but I want to be the woman who relishes in the goodness and security that they provide than to grow bitter that they do not cease. And so I put one more load in. The hamper stays empty for all of twelve seconds before the socks I told him to make sure weren’t left on the floor finally get picked up and put in their proper destination. Right after the load is done. Yes, the security of those white socks always await me. May may be over, but let’s still celebrate. How did June creep up on me so quickly!? Well, it did. And though May is over, we’re going to keep on celebrating motherhood as I finish posting up a few blog entries from dear friends. Let’s pray I get them all up before Father’s Day! Today’s guest post comes from one of my favorite women–my first pastor’s wife. Christina was a great friend, confidant, and mentor to me as not only a new Christian but as a new wife and mother. She amazed me with her calm demeanor though she carried the weight of ministry alongside her husband and, wait for it, five children. At the time, I didn’t know families that big existed anymore! I’m excited to share her encouraging words with you. Thanks, Christina! I purposely have not read the other blog entries because I didn’t want to put expectations on myself for what this needs to be. I also hoped that if I repeat what anyone else has said it will be from God, an exclamation point of sorts. I’m looking forward to catching up on the previous entries! This kind of sums up “Motherhood” for me: expectations. Expectations: what are mine of myself, my husband’s expectations of me, my children’s expectations, my church’s, and God’s expectations of me? That’s heavy. I have 5 children. The oldest is 23 and the youngest just had her 11th birthday. My oldest, Jessica, and youngest, Julia, are girls. There are three boys in between – Jonathon, Joshua and Josiah. I love the newborn – 2 years stage. I had birth and breastfeeding down pat. There may be people who adopt 5 kids at once or in a short period of time or the few families on TV that have multiples. I can’t imagine going from no children to 5 or having one and then birthing 4 at once making an automatic family of 5. Phew! In my average case, it was one at a time. Managing those ages and stages have to be lived one day at a time but also lived with the future in mind. My struggle with expectations has brought me to a place of casting aside all others and asking God, “What do YOU expect?” His reply is what we all long for: “Love me.” Encapsulated in that is also “Let me love you and love others through you.” Don’t you love HUGS? Maybe there are the few that have difficulties with touch and resist the intimacy of a hug, but overall I think we generally love HUGS. What I like most about it is that when you give one, you almost always get one back. As I focus on being aware of His Presence throughout my day, loving God and receiving His love for me, then loving my family and “doing” all the mom-things for them become an expression of love and not just an expectation of duty to perform. My expectations of myself, by the way, are usually an unrealistic conglomeration of all the ‘best mom’ attributes of all my friends, acquaintances and maybe even TV moms, Martha Stewart and Food Network stars, all wrapped up into what I think is who I should be. As I surrender that and focus on Jesus and pleasing Him, I find that I can navigate around all the other expectations. “Focus” is the word for me this year. Haphazard living doesn’t yield a fruitful life. In the stages of nursing babies and toddlers, I had to have structure but bend with the unexpected. During the school years, structure is forced upon me and there is a rhythm to the weeks. With a large family, I have had years with kids in 3 different schools. “Life happens” and in the chaos, I have often lived by the urgent with my only focus on survival. However, I can look back and know that through it all, I have and continue to live with a focus – pleasing God. And He smiles on me and on you, too. To wrap it up, in this newest stage of parenting (letting children grow up and go away), there is one HUGE thing I learned: “new level, new lie” or some say “new level, new devil”. What do I mean? Well when my oldest was graduating high school, I thought “I’ve finally learned how to do this thing called life.” I was confident in my relationship with God and aware of the destructiveness of the enemy of our souls. What took me by surprise was that the enemy came from a different angle, found a weak spot and took on a new lie. When my oldest got engaged, I began to think, “She doesn’t need me anymore. Her husband’s family is better for her than we are.” I started to agree with those and other negative thoughts and for 3 weeks or so I was being tormented. Then it hit me, “THESE WERE LIES FROM THE PIT”. It was like a veil was removed and I saw where these thoughts we coming from. I immediately repented and began to cut off the plans and schemes of the enemy in prayer. God is faithful and my relationship with my daughter is close and strong. I could have filled this blog with scriptures and believe me, I have many favorites. I love this definition of the GRACE of God – His ability to do in and through me what I could never do in my own strength. That’s Motherhood. I’m married to a man of God – Timothy Dzindzio. We both graduated from Zion Bible Institute in 1987 and have been married 26 years. Our journey: we have served as youth pastors for over a decade, Senior Pastors in Pelham Bay, Bronx, NY for 7 years, Master’s Commission director in NJ, lived in Louisiana for 3 years and currently pastoring in Rhode Island.